If you go to the Silverlight version of Bing Maps, at the bottom is an application gallery which adds different features and layers to the maps. 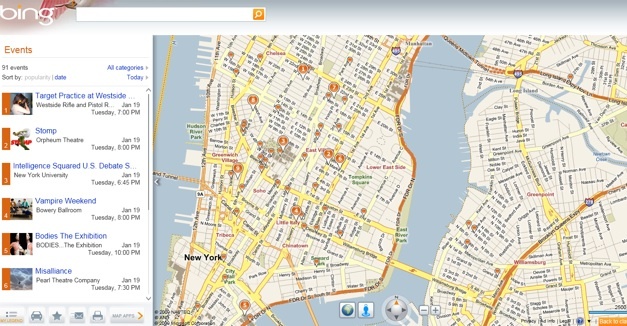 Two new Silverlight apps added today are for Events and Destination Maps. The Events app brings up nearby events and places them as pins on the map. The name of the events appear in the left-hand column, where you can scroll through them and sort by popularity or date. You can also filter by specific times (today, tomorrow, this weekend, this week, next week, or a specific date range). The app also lets you narrow the search down by categories such as music, sports, performing arts, food & dining, and fairs & festivals. The Destination Maps app creates a stylized map that is good for party invites or directions. 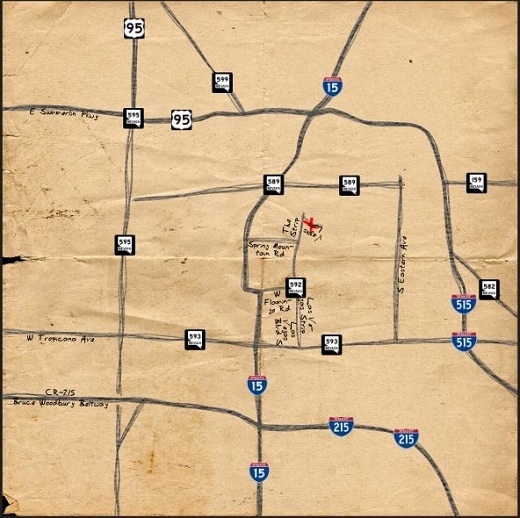 The recipient gets a simplified map showing just the route from where they are coming from to where they are going, and the maps can be skinned with different background themes including a a European road map or a pirate treasure map (below).